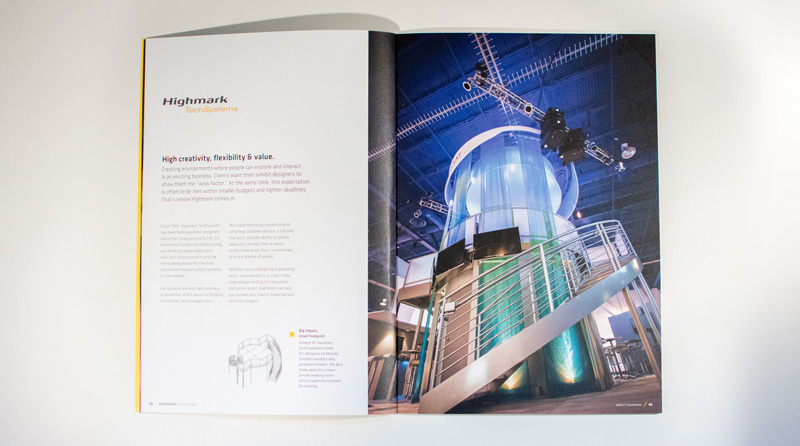 Highmark creates modular structural systems used to create expansive, multi-story trade show exhibits by brands and design agencies across the USA. 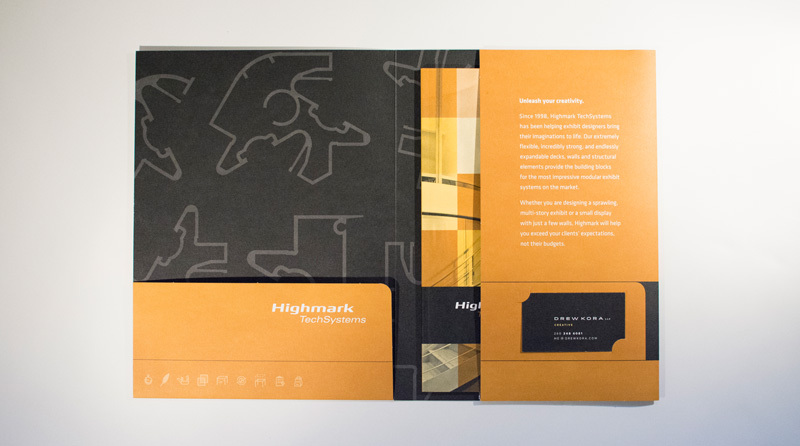 Highmark’s tradeshow products are lighter, stronger, easier-to-build, and more configurable than any product on the market. 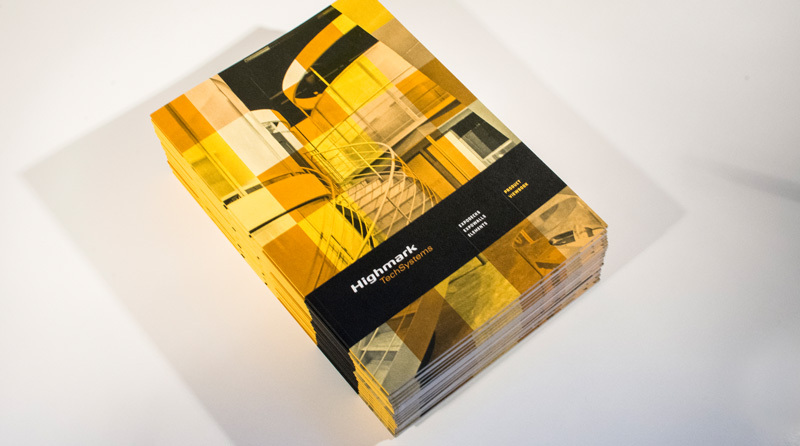 DKLLC was asked to overhaul Highmark’s marketing materials to compete with the panache of their European competitors. 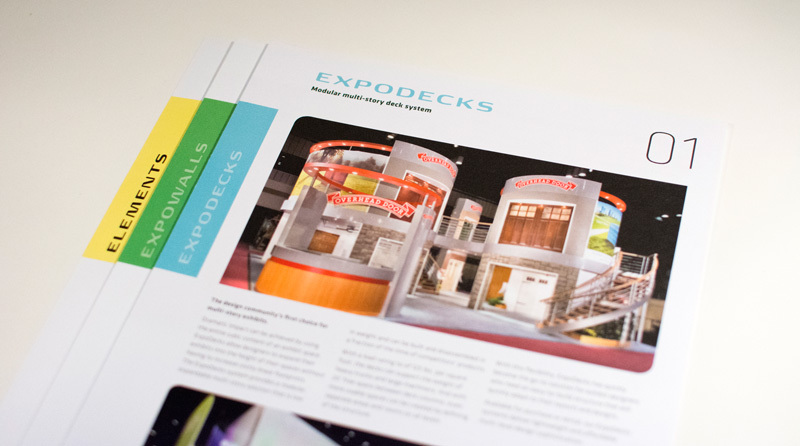 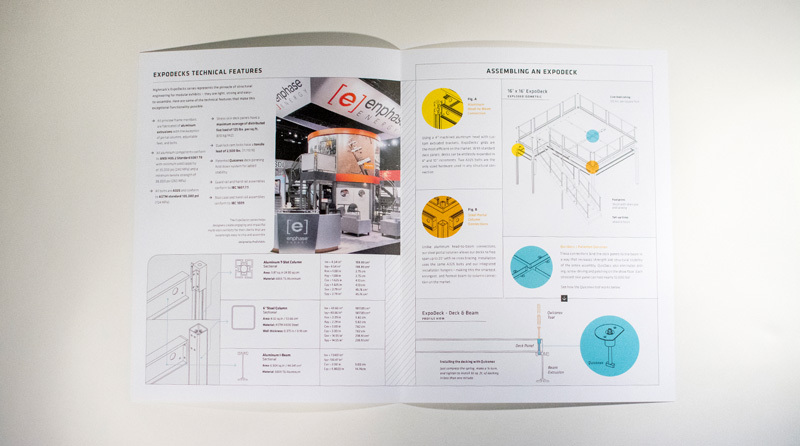 Importantly, the writing and art direction had to satisfy both the aesthetic desire of exhibit designers as well as the technical concerns of exhibit builders. 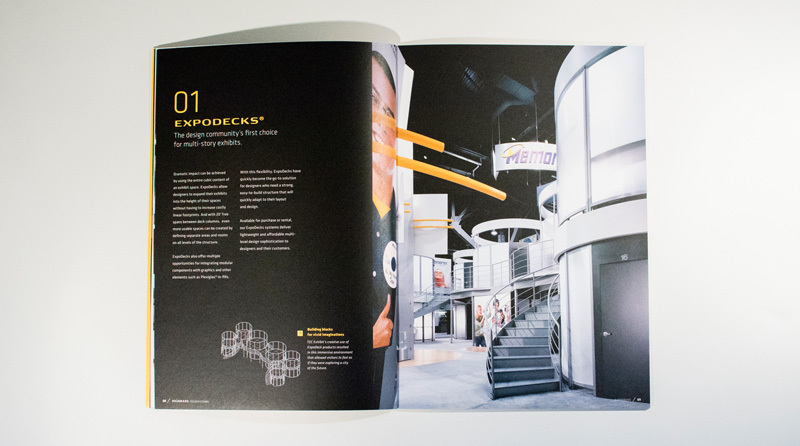 We started by designing a core product viewbook, a series of sales sheets, and a folder. 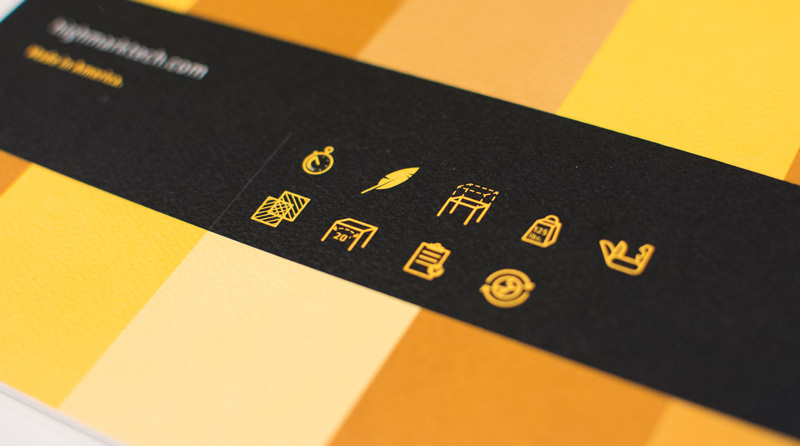 These new materials feature high-quality printing on luxe papers that amplify the gorgeous product photography. 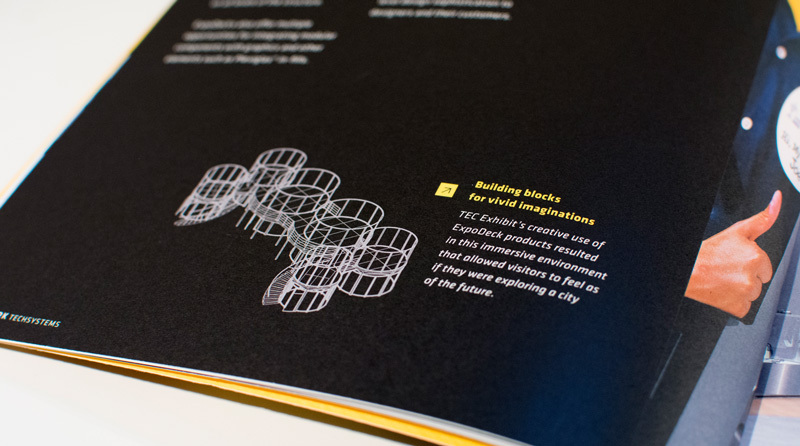 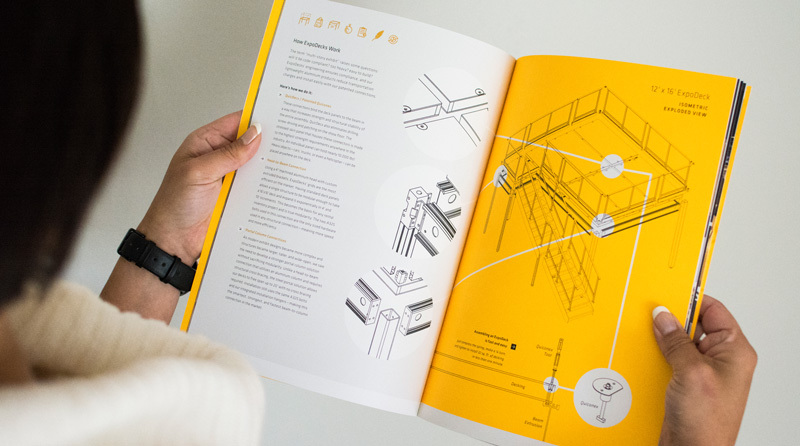 Technical illustrations were set against a fluorescent yellow ink. 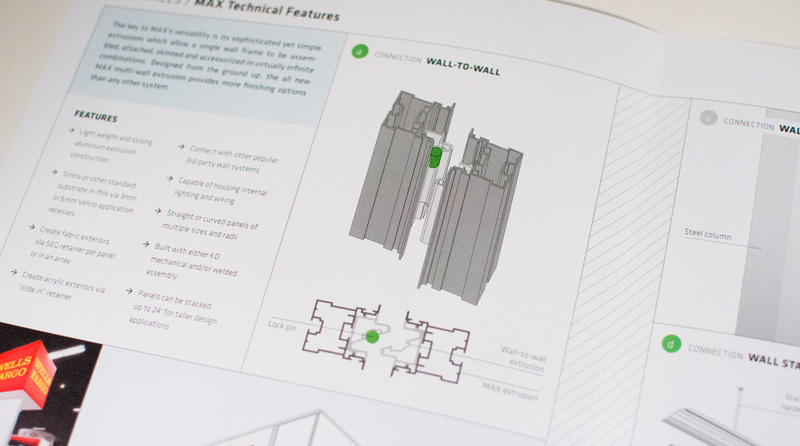 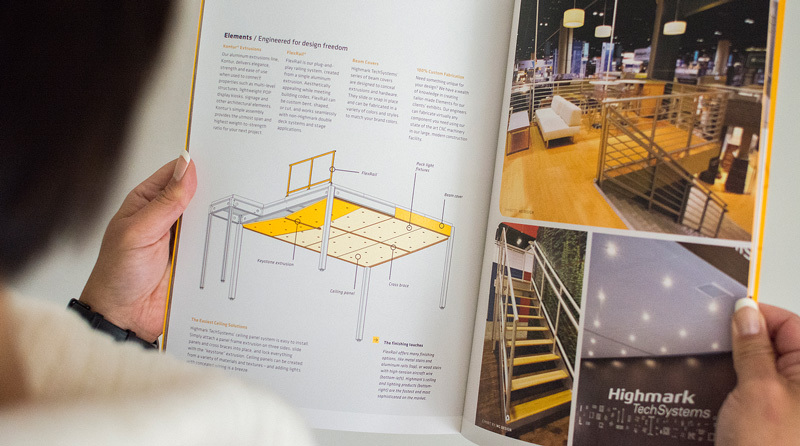 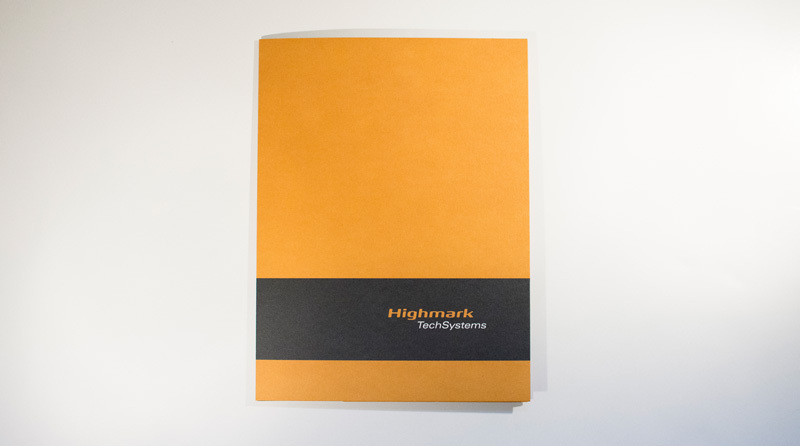 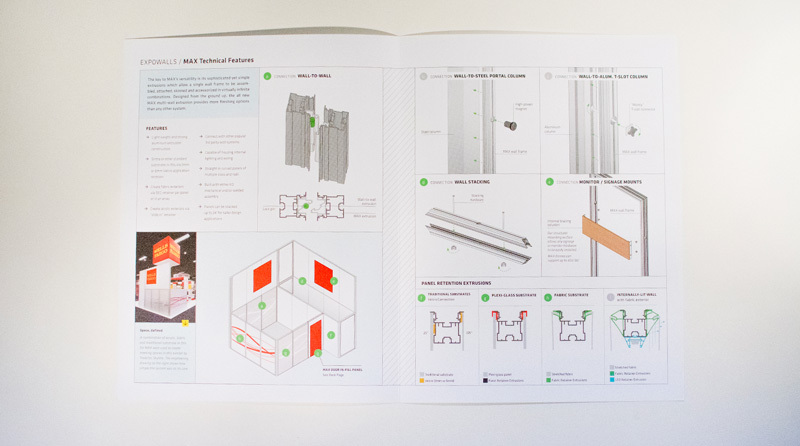 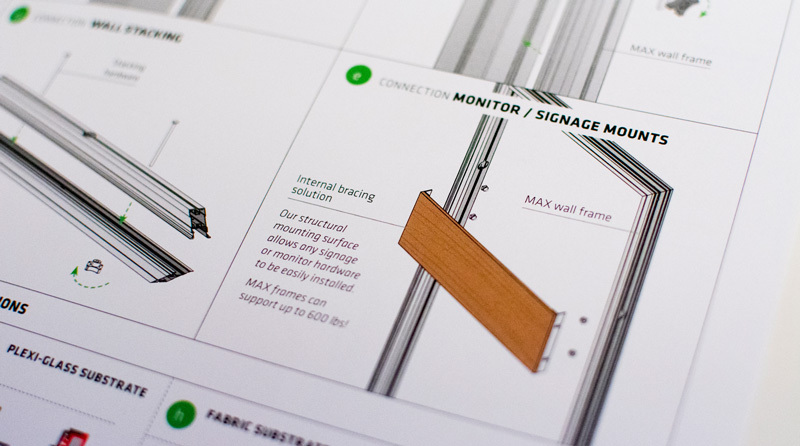 As a result, Highmark’s beautiful products and technical prowess leap off the pages. 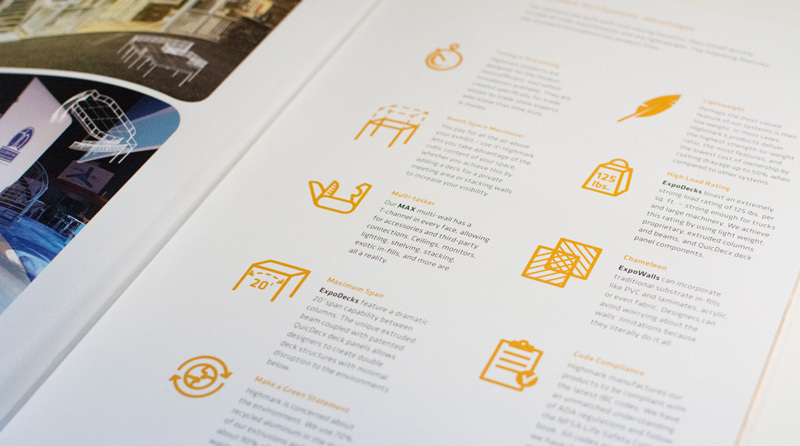 Content and copywriting consultation provided by Pat Friedlander.